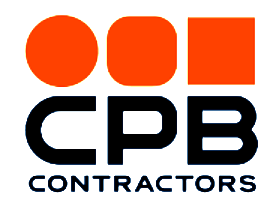 CPB Contractors is the CIMIC Group’s construction company and a leading international construction contractor, with operations across Australia, New Zealand and Papua New Guinea. Combining the expertise and track record formerly delivered by Leighton Contractors and Thiess, we deliver projects spanning all key sectors of the construction industry, including roads, rail, tunnelling, defence and building. Our Mission is to generate sustainable returns for our shareholders by delivering projects for our clients, while providing safe, rewarding and fulfilling careers for our people. We need people who are talented, motivated and disciplined, and who have a strong work ethic that drives them to succeed. The primary purpose of this position is to provide support to various Finance Managers. Expected to proactively manage and coordinate the activities of the General Managers and maintain good working relationships with other administrative and secretarial staff in CPB and Subsidiary offices. Comprehensive support and services to various Finance Managers on a professional and confidential basis, including diary management, compilation and reconciliation expense reports and travel. Managing and prioritising incoming correspondence and phone calls. Managing and overseeing incoming and outgoing correspondence, email and documentation. Preparing relevant documentation for the Finance Managers including assisting with the formatting/typing of correspondence, submissions, papers, agendas and presentations. Administration and coordination of monthly financial close process in adherence with the published timetable with General Finance across all groups entities and Divisions. Keep records of Group Finance and Divisions submission dates of deliverables/achievements versus published timetable to help monitor and manage congestion in the timetable and likely delays. Provide feedback on status to the Finance Managers on a regular basis so proactive intervention is possible to help avoid delays. Effectively and accurately communicate financial reporting deadlines/timelines/updates to Group Finance Divisions. Monitor and follow up monthly financial report submissions from Divisions to ensure they are being achieved in accordance with the published timetable; follow up missing information and re‐confirm likely submission dates. Compilation and preparation of monthly business reports for the Finance Managers, ensuring all prepared material, documentation and correspondence is dealt with according to relevant procedures. - Comprehensive support and services to various Finance Managers on a professional and confidential basis, including diary management, compilation and reconciliation expense reports and travel. - Managing and prioritising incoming correspondence and phone calls. - Managing and overseeing incoming and outgoing correspondence, email and documentation. - Preparing relevant documentation for the Finance Managers including assisting with the formatting/typing of correspondence, submissions, papers, agendas and presentations. - Administration and coordination of monthly financial close process in adherence with the published timetable with General Finance across all groups entities and Divisions. - Keep records of Group Finance and Divisions submission dates of deliverables/achievements versus published timetable to help monitor and manage congestion in the timetable and likely delays. Provide feedback on status to the Finance Managers on a regular basis so proactive intervention is possible to help avoid delays. - Effectively and accurately communicate financial reporting deadlines/timelines/updates to Group Finance Divisions. - Monitor and follow up monthly financial report submissions from Divisions to ensure they are being achieved in accordance with the published timetable; follow up missing information and re‐confirm likely submission dates. - Compilation and preparation of monthly business reports for the Finance Managers, ensuring all prepared material, documentation and correspondence is dealt with according to relevant procedures.